SKU: 2472. Categories: All Products, Racetams. Tags: buy, capsules, nootropics, oxiracetam, racetams, USA. Oxiracetam is a nootropic from the racetam family. Over the years, oxiracetam has proven effective for enhancing cognitive functioning, particularly concentration and memory. The supplement is available in water-soluble form that makes it easier to consume. This is one of the reasons for its popularity. Oxiracetam is a derivative of Piracetam, the first ever nootropic. Initially developed in 1977, oxiracetam became known in a study published in 1990. Numerous studies have been published since then, highlighting the impact this nootropic has on cognitive performance. As compared to other nootropics, oxiracetam has proven safe even if you consume high doses over a long period. However, caution should be exercised when taking this supplement, so it is best to consult a doctor before using it. The neurotransmitters in the brain are responsible for sending and receiving signals that enable the mind and body to perform different functions. Oxiracetam targets two particular neurotransmitters in the brain, namely glutamate and acetylcholine. Generally, people with normal levels of acetylcholine are able to function better. However, depletion or malfunction of neurotransmitters can negatively affect mental functions. Oxiracetam works as a positive allosteric modulator (PAM) of acetylcholine and glutamate receptors. PAM’s helps to increase the effectiveness of a certain neurotransmitter. This is the drugs primary mode of action. In addition, the nootropic also perks up the level of glutamatergic activity in your brain. Glutamate is partially responsible for memory formation. Hence, taking this supplement helps to improve memory formation. Similar too many other nootropics, combining with a choline supplement may have synergistic benefits. Choline may be beneficial as a stack because it is a precursor to the acetylcholine neurotransmitter. Hence, combining a precursor with a positive allosteric modulator of acetylcholine may improve the results. Your long-term memory improves when you start using this nootropic. You will also be able to tap into your memory and recall things better. Your memory capacity will also increases in the short term. Your brain functions faster when you take oxiracetam. As a result, your thinking is clearer and quicker, enabling you to be more alert. Your observation skills will also improve. You will have an enhanced capacity to learn. This is why students find oxiracetam useful when studying for exams. Their spatial and contextual skills improve, enabling students to apply logic and carry out analytical reasoning in an effective manner. Your attention span increases when you use this supplement. You are able to focus and concentrate better, and for a longer time. All these benefits make oxiracetam the best pure cognitive enhancer that can be used. In addition to these, it can also protect the brain, helping preserve the health of neurons. Oxiracetam has also proven effective at eliminating toxins from the brain, so it can be used as an antioxidant as well. Some studies show that oxiracetam can reverse the damage alcoholism has on cognitive functioning. Overall, oxiracetam is safe to use for prolonged periods. For one, it is non-toxic, hence it won’t have any serious harmful effects on health. Moreover, oxiracetam does not cause dependency, even with daily use. The nootropic is very well-tolerance, even in higher dosages. The chances of oxiracetam side effects are under 10%. You are likely to encounter these side effects when you exceed the recommended dosage. If you stick to the regular dosage, there should not be any problems. However, because oxiracetam can cause insomnia, it is a good idea to avoid using it if you have trouble sleeping. Otherwise, your sleeping issues will only exacerbate. The side effects, although mild, can cause discomfort. Therefore, consult your doctor immediately if you experience any of these. Also, stop using this supplement until the side effects go away. You will find oxiracetam generally safe to use, even if you are ingesting other compounds. However, any substance or drug which you consume that can affect your mental state will interact with this nootropic adversely. This is particularly true for alcohol. Oxiracetam can enhance the effect of alcohol, making it more potent. As you would know, increased effect of alcohol would mean stronger intoxication, which can impair your cognition and judgment. Being intoxicated can lead to problems with balance as well as causing other health issues. That being said, you can combine the use of this supplement with a potent substance, provided that you find the right balance between the two. For instance, you can take the supplement during the day if you are planning on drinking alcohol at night. Moreover, as long as you stick to mild substances, there shouldn’t be any major issues. Oxiracetam can interact with the epileptic drugs: Carbamazepine & Valpoic Acid. Since both drugs are metabolized by the same enzyme. The effects of the racetam nootropic could be reduced as a result. In a study, the use of the nootropic did not effect the efficacy of the two epileptic drugs. There is no shortage of options when it comes to stacks with oxiracetam. You can either stack with a supplement that enhances the effect of this nootropic or you can choose one that has a different effect that complements what oxiracetam does for cognitive enhancement. 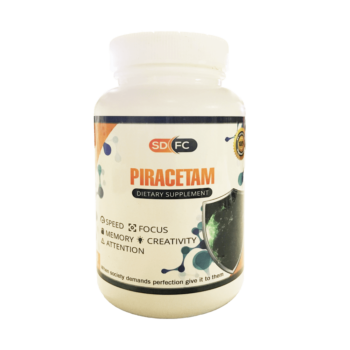 With Piracetam and Aniracetam: Since all three nootropics are from the racetam family, you can call this the Racetam Stack. The effects of these supplements are somewhat similar but they do target slightly different neurological pathways, which means they can be combined to enhance the performance of oxiracetam. Your overall cognition and memory will improve and your mood will also get better, making this stack ideal for people with depression or anxiety. With Adrafinil: This stack will work paticularily well for students who are battling lack of sleep while preparing for their exams. Adrafinil makes you more alert as well as wakeful, which when combined with oxiracetam will lead to enhanced concentration and focus. With Alpha GPC: Alpha GPC is one of the best choline supplements you can use. Your brain needs choline in ample qualities to absorb and use the increased amounts of acetylcholine. This way, the impact of this nootropic will be amplified and you will get quicker and longer lasting results. Noopept Complex Capsules – 90 Count | 200 mg All Products, Racetams. Picamilon Capsules – 90 Count | 200 mg All Products, Calming, Natural.